The U.S. Fish and Wildlife Service is proposing to remove the Eastern cougar from the endangered species list, declaring that the cougars have likely been extinct for at least 70 years. 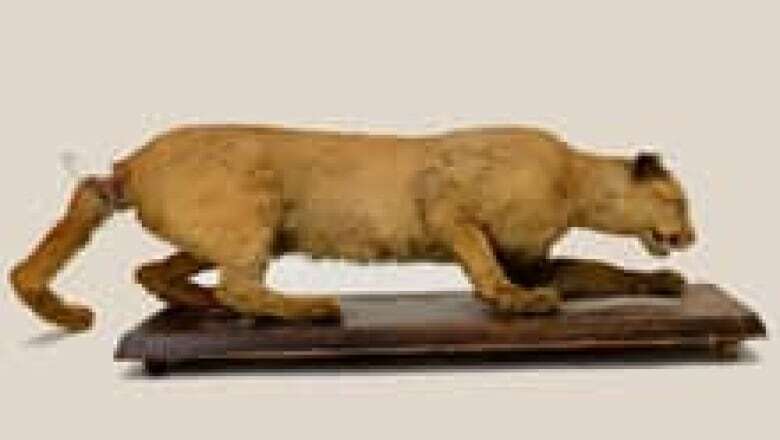 The last records of Eastern cougars are believed to be in Maine in 1938 and in New Brunswick in 1932. Biologists say numerous reported sightings in recent years are compelling and have helped sustain the animal's mystery, but they have yet to find any scientific proof that it exists. Bob Bancroft, a Nova Scotia-based wildlife biologist, says it may be the time to ditch the idea of the Eastern cougar as a subspecies. "Basically, the animals that are here now may not have been that subspecies — that they're moving from the West into Eastern Ontario and Quebec," said Bancroft, speaking with CBC's Maritime Noon. 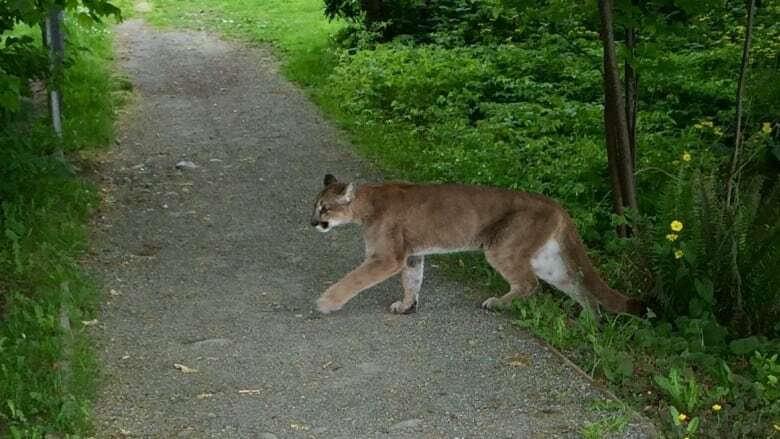 Bancroft said one theory is that the Eastern cougars used to be people's pets and the ones seen in the region may have escaped their masters. He acknowledged it may be difficult to imagine cougars as pets, but he said there is evidence from the United States and Canada to suggest it may have happened. He did not elaborate on the nature of the evidence. From the biological samples that do exist, Bancroft said the cougars may have a wide variety of origins. "It's interesting that of the known ancestry of samples from the Eastern states and provinces, about a third of them are South American cougars, a third from North American ancestry, and about a third are of unknown ancestry," he said. The Eastern cougar was designated as endangered in 1973, only to be redesignated "data deficient" in 1998 due to an absence of scientific proof. Bancroft said he's heard from plenty of Maritimers who've reported sightings. Eric Wright recalls being surprised by what he believes was a cougar, while driving through Cross Creek in central New Brunswick. "An animal ran across in front of me and I'd say it was about five feet long, its tail was about as long as the cat was," he said. "It was coal black and it crossed within about 100 feet of me on the road." Bancroft said he's even seen one himself. "I take the boat over in Bayfield, about a 13-minute drive from where I live, and on one particular day, I was coming back from the boat," he said. "I went by an opening where a dirt road met the pavement. And there, striding across the dirt road less than 100 feet away, was this very large cat with a long tail." Bancroft says based on the number of sightings, the myth of the Eastern cougar may live on and its subspecies can be reinterpreted. 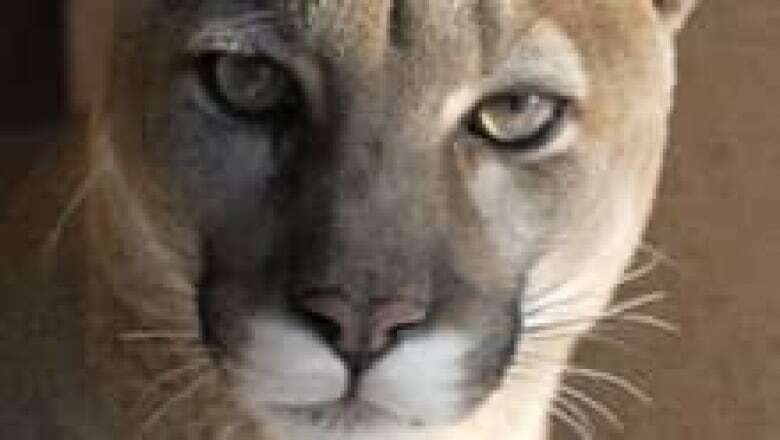 He says if the Eastern cougar has died off, then the cougars that people have seen must be a new breed. "That there's a reality that people are seeing them makes me think there's a breeding population," he said. "If they basically have the same genes, then we should at least admit that we have cougars in Eastern Canada." The proposal to remove the Eastern cougar from the endangered species list in the U.S. will be available for public comment for 60 days before the agency proceeds with final ruling.